Epic GamesThe creators of ‘Fortnite’ are cracking down on cheaters. “Fortnite” developer Epic Games is suing a pair of YouTubers for promoting hacks and trolling in the game and selling cheat software. The lawsuit, filed in a North Carolina district court, claims that cheat software damages the experience of “Fortnite” players, and harms the game’s community as a result. 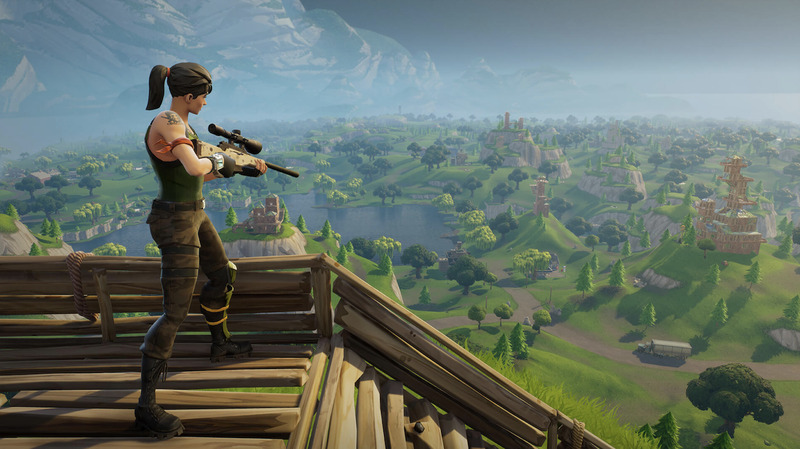 Epic Games is seeking damages from the two defendants and has asked the court to compel the pair to stop infringing on “Fortnite’s” copyright and user agreements. Epic Games has filed a lawsuit against two YouTubers for promoting the use of “Fortnite: Battle Royale” hacks on YouTube and selling cheating software on a private website. A copy of the claim obtained by TorrentFreak identifies Brandon Lucas of the YouTube channel “Golden Modz” and Colton Contor of the “Exentric” channel in the suit filed with the U.S. District Court for the Eastern District of North Carolina on October 10th. The Golden Modz and Exentric YouTube channels specialize in videos showcasing cheat software in several popular games, including “Fortnite,” “PlayerUnknown’s Battlegrounds,” “Grand Theft Auto V” and “Call of Duty.” The software lets players do things that would otherwise be impossible in the game, like see enemies through walls or aim their shots automatically. Both channels showed the cheats in use against other players and contained links to purchase the software from third party websites in their video descriptions. In their claim, Epic specifies nine videos published by the defendants that promote hacks for “Fortnite.” These videos have already been flagged on YouTube for copyright infringement and are no longer available, though plenty of others that mention the use of cheats in different games are still available on both channels. Epic claims that the sort of trolling promoted by these YouTube channels and the cheating software is detrimental to the experience of the average player and hurts the “Fortnite” community as a result. According to Epic, both Contor and Lucas have been banned from “Fortnite” in the past but continued to create new accounts for the free game using fake names. Cheating has been especially rampant in Battle Royale games like “Fortnite” and “Player Unknown’s Battlegrounds.” The latter game banned 572,778 players during the month of September, which is down from a monthly peak of 1.6 million in April 2018. With both games exploring esports opportunities, keeping online play fair and legitimate is essential for keeping players invested in competition. Lucas, who uses the Golden Modz handle on YouTube and Twitter, has denied using his channel as a vehicle to sell cheat software, despite his videos sharing links to GoldenGodz.com and GTAGodz.com, a pair of sites dedicated to selling such software. 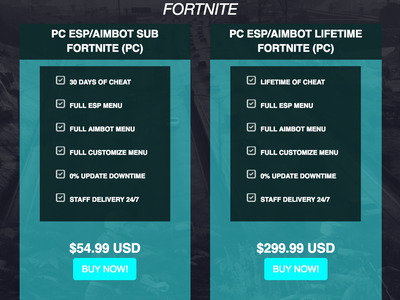 The sites no longer show cheat packages for sale but archived versions show subscription and lifetime rates for “Fortnite” cheat software, selling for $US54.99 and $US299.99, respectively. 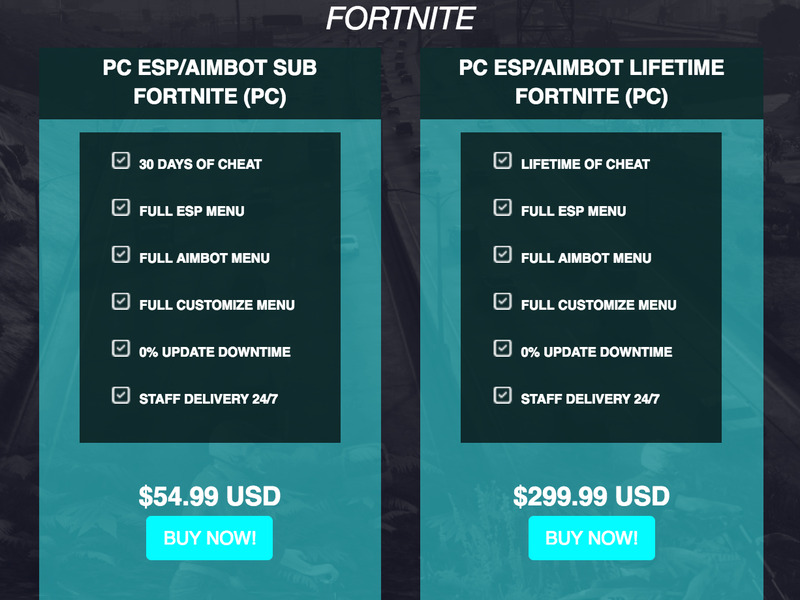 Both sites also offer to purchase player accounts, which is also prohibited by “Fortnite’s” terms of service. Epic’s claim suggest that Lucas has a stake in both sites, but he has denied ownership. In his own defence, Lucas claims that other prominent YouTubers share unreleased content and unlicensed mods for the game without being targeted. GoldenGodz.com via Wayback Machine archiveOne of the sites mentioned in the lawsuit sold cheat software for as much as $US299.99. At the very least the case should stand as a warning to future “Fortnite” hackers; cheaters never prosper. Business Insider has reached out to Epic and the defendants for comment.